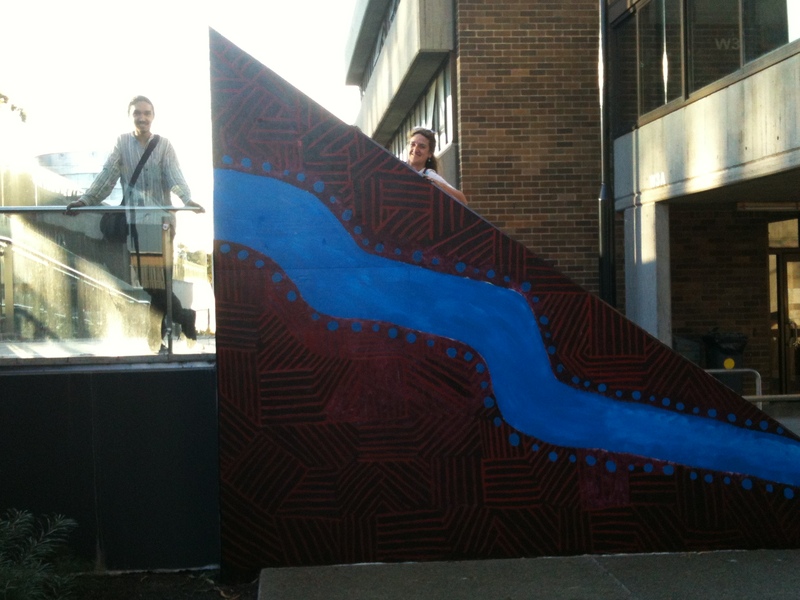 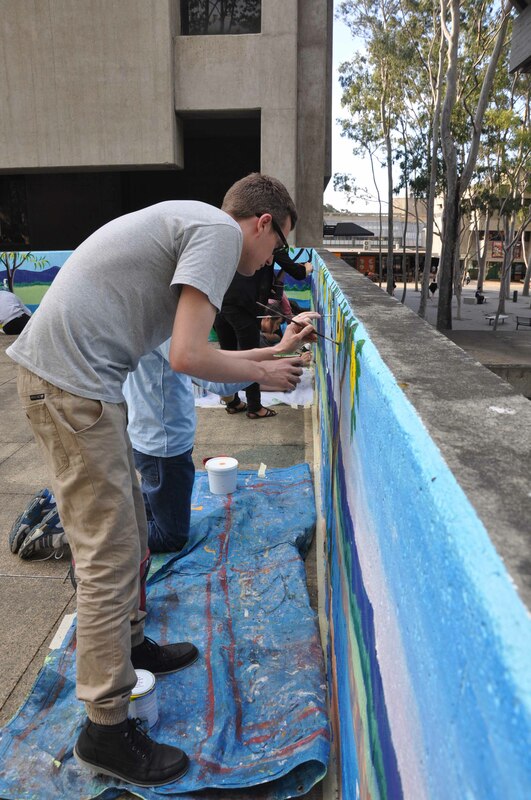 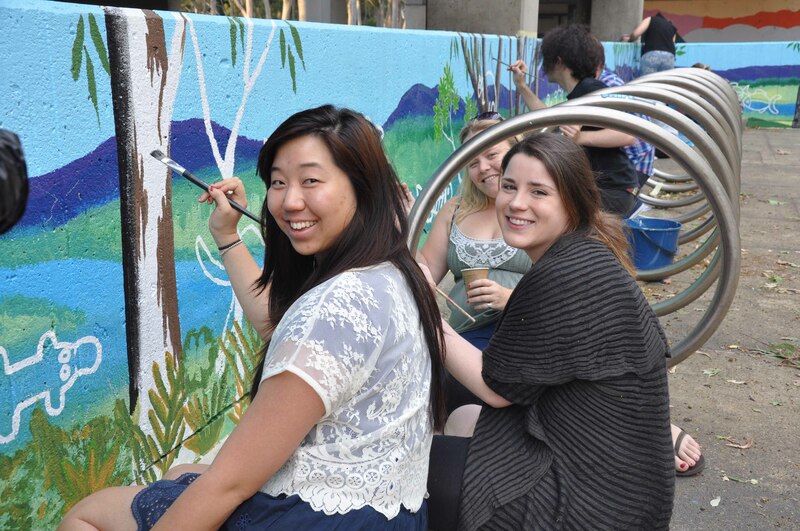 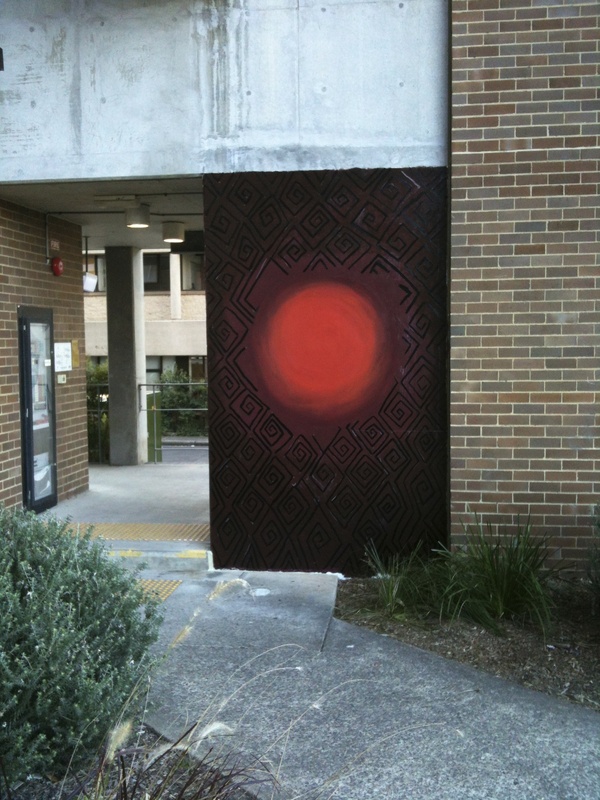 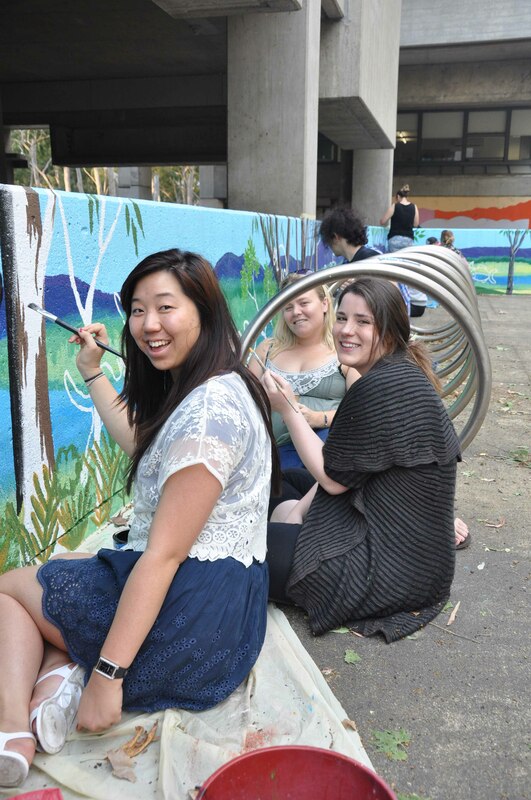 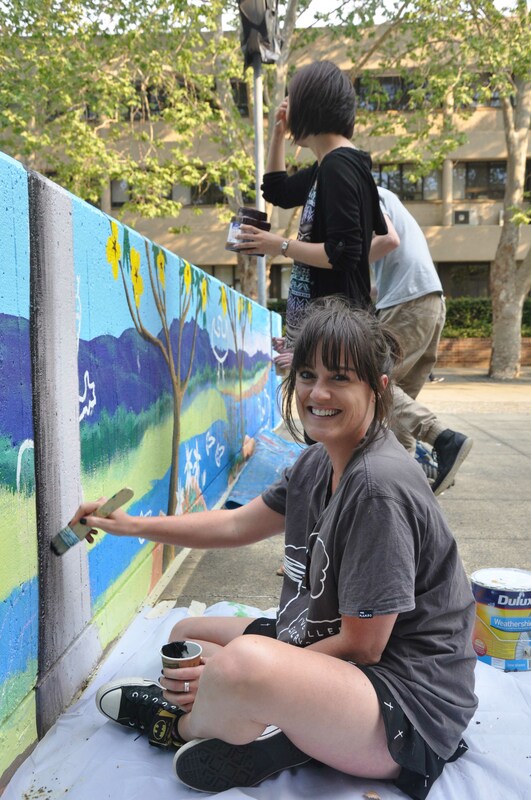 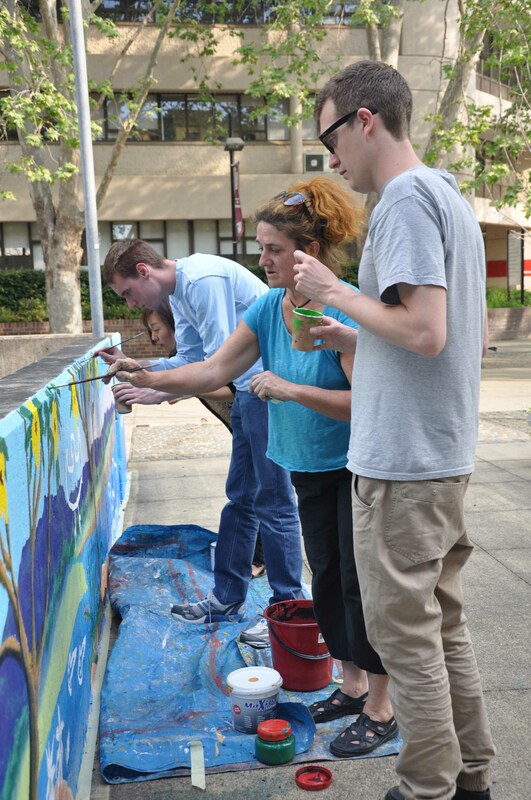 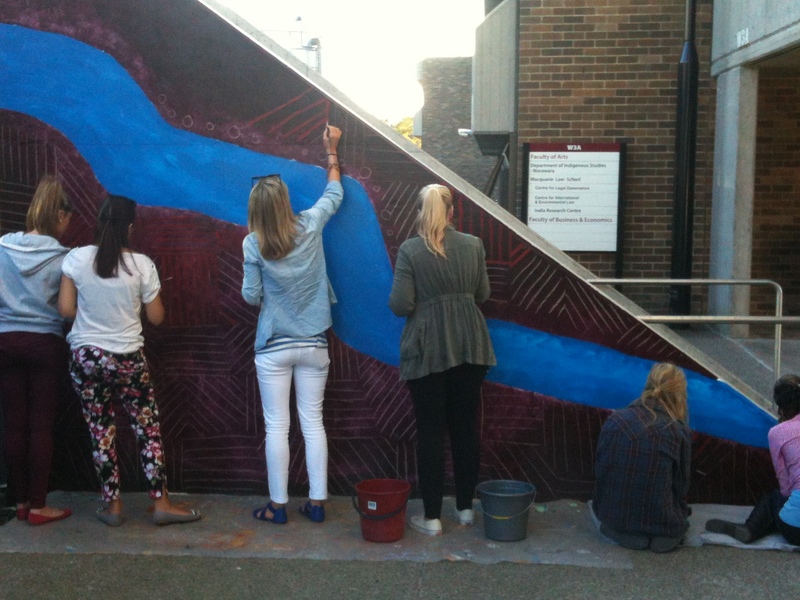 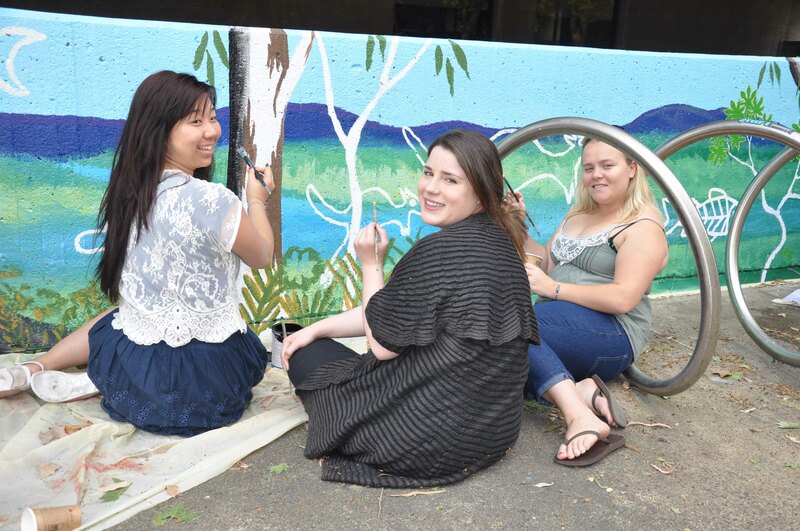 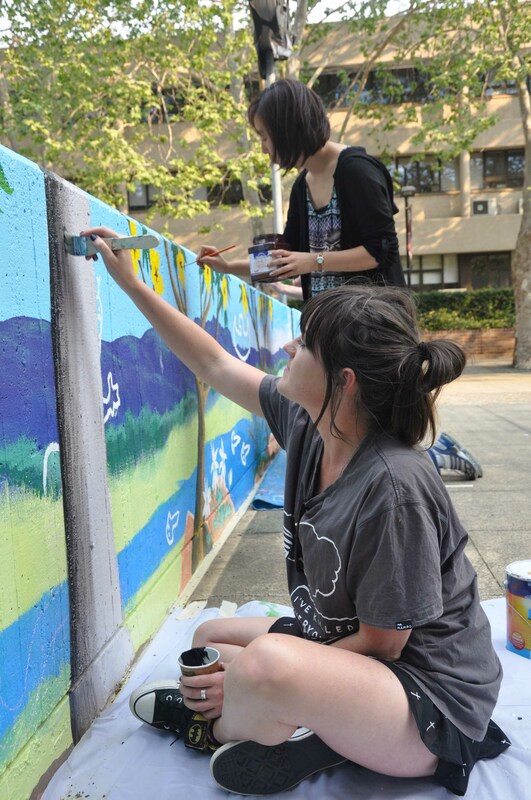 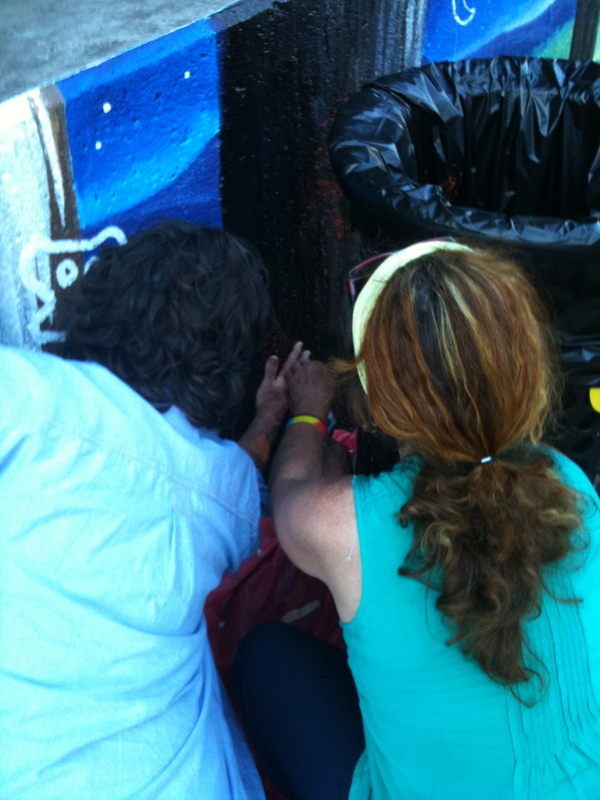 Pre-service teachers at MQ worked with renowned Aboriginal Darug artist, Leanne Tobin and her family to create three murals on campus, a mural with a story which comes from Darug country, in Sydney. 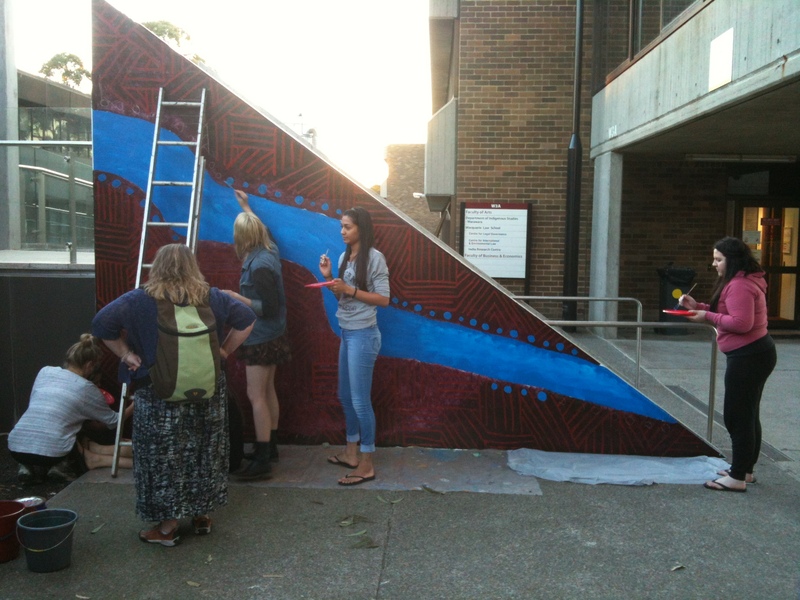 The students were learning what Aboriginal art is by working alongside the artist, rather than learning about Aboriginal art from lectures and books. 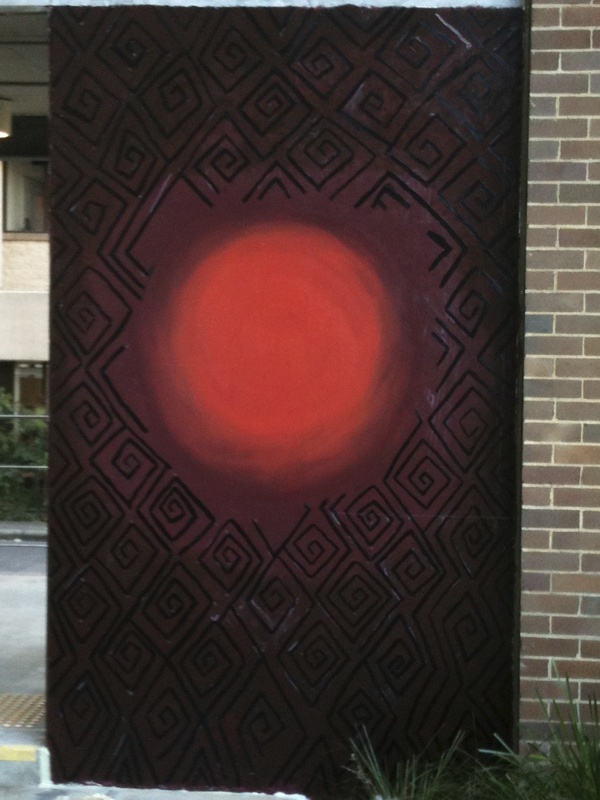 They learnt that Aboriginal country produces its own art style and its own story, and to take Aboriginal art out of country and put it in a book is to divorce it from its place, its meaning and its story. 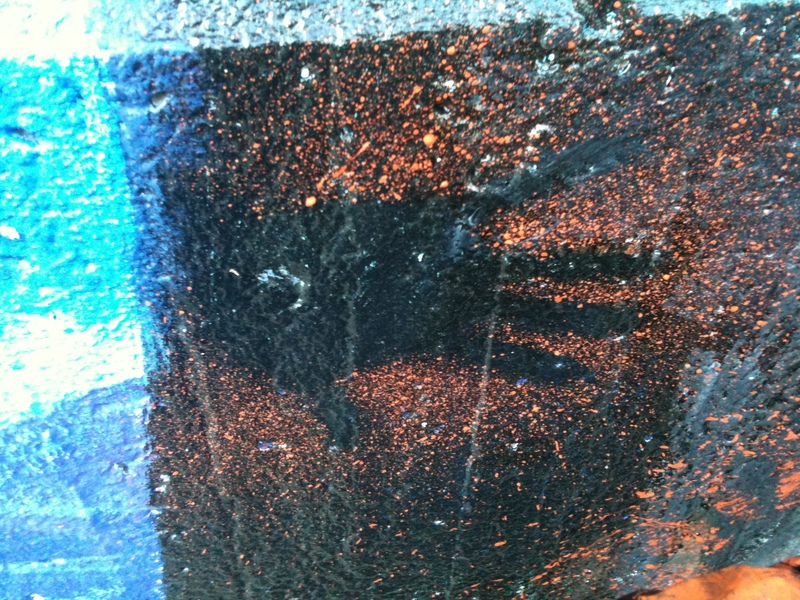 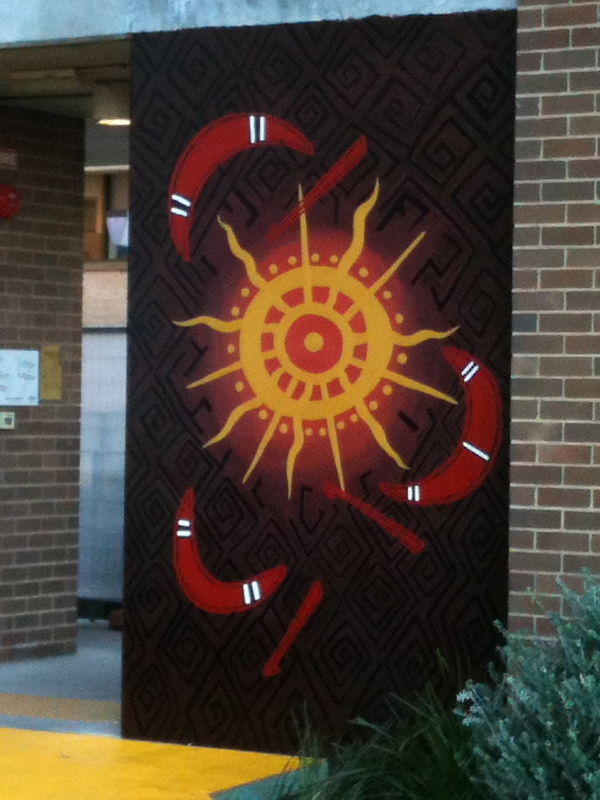 Aboriginal art is a practice, an education of children and adults. 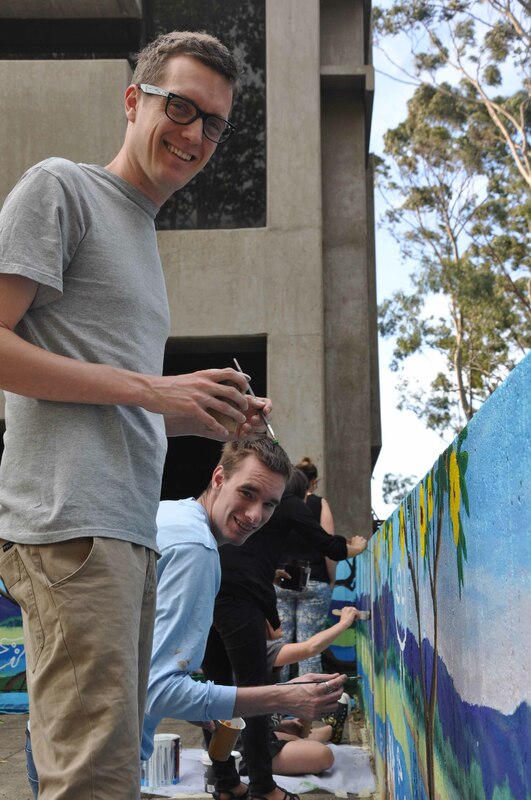 These pre-service teachers were also learning how to work with their own school community when they go into schools as fully trained teachers. 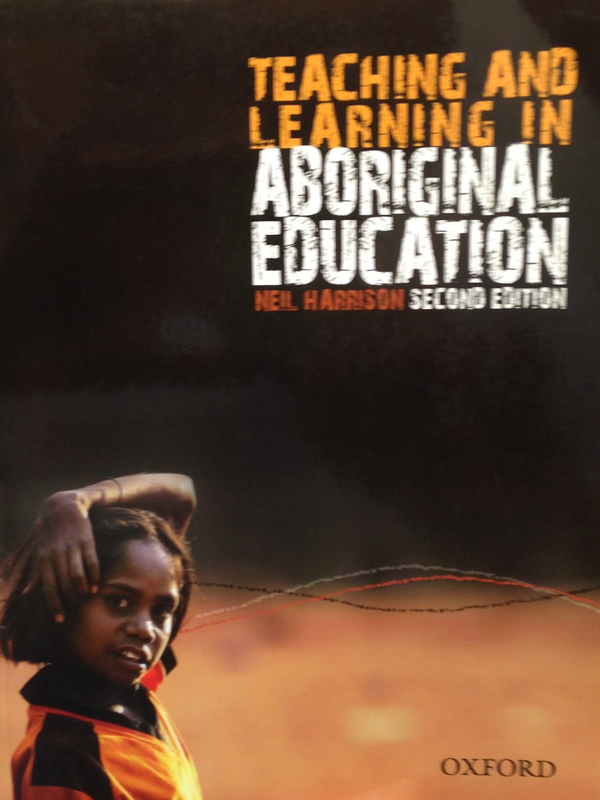 Read more about place-based education and the origin of this project here. 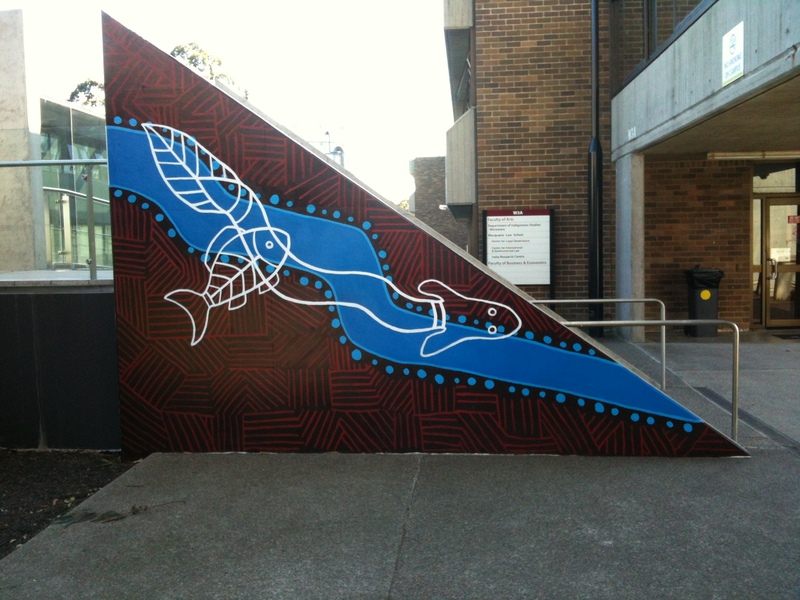 This is the country of the Wallumedigal, the Snapperfish people, a saltwater clan of the Darug who live around the northern waterways of the Parramatta River and Sydney harbour. 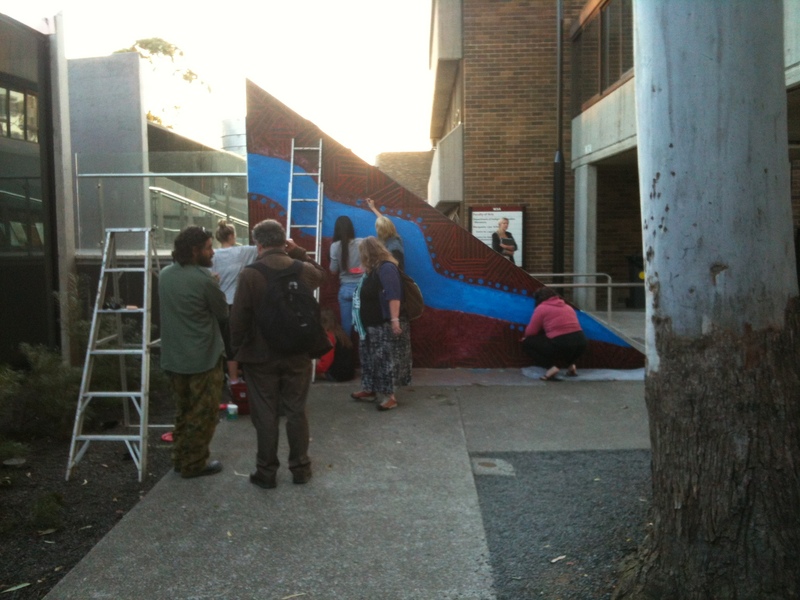 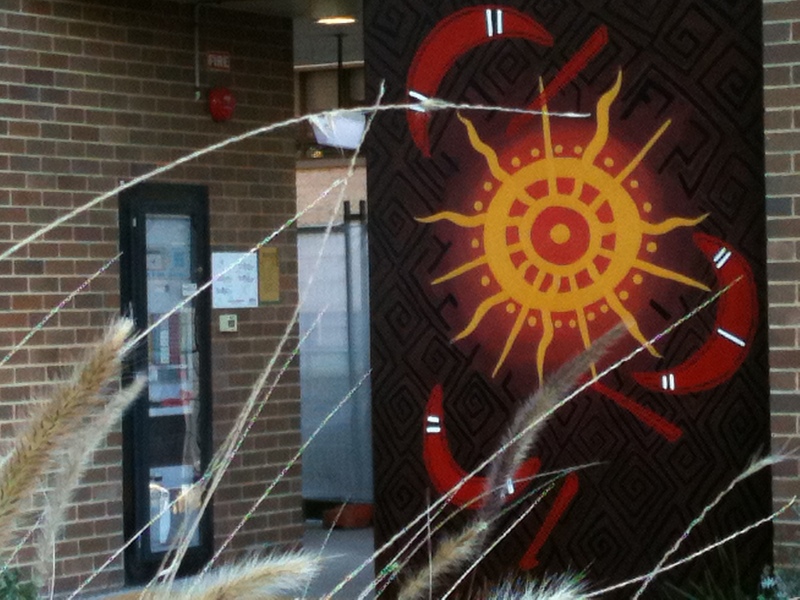 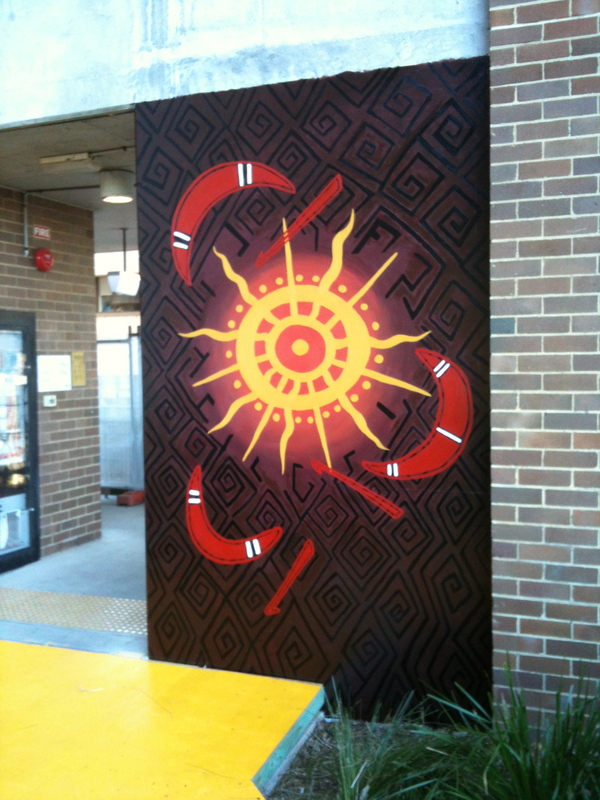 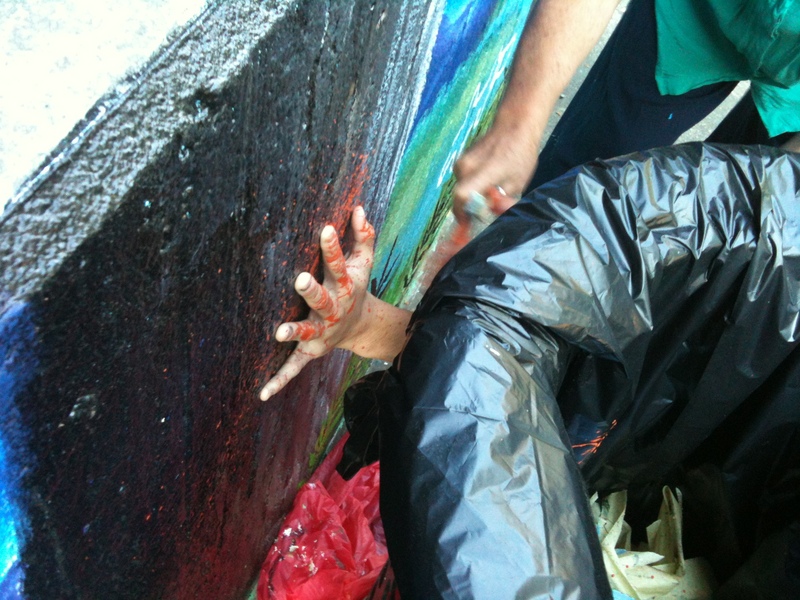 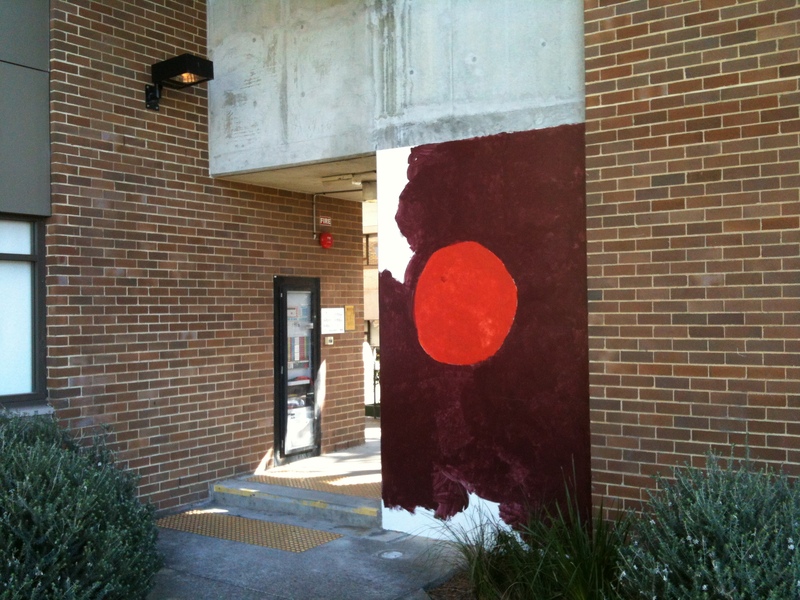 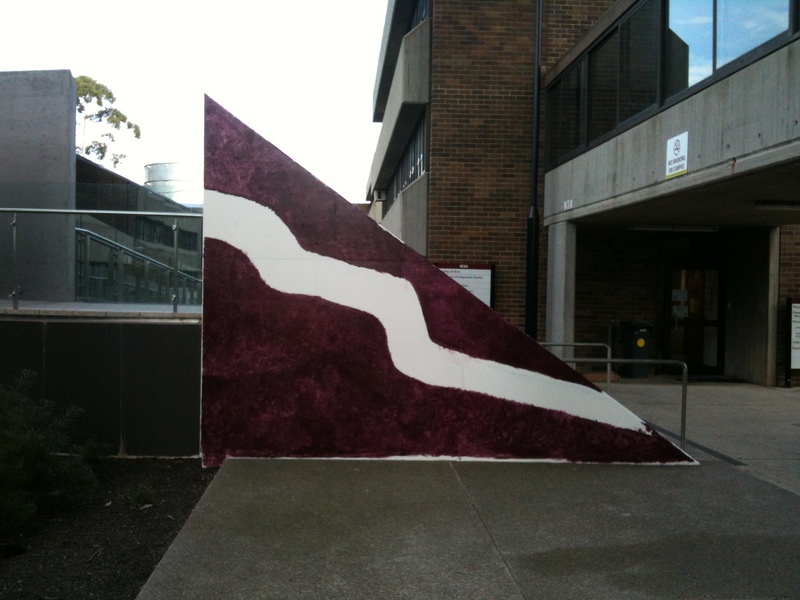 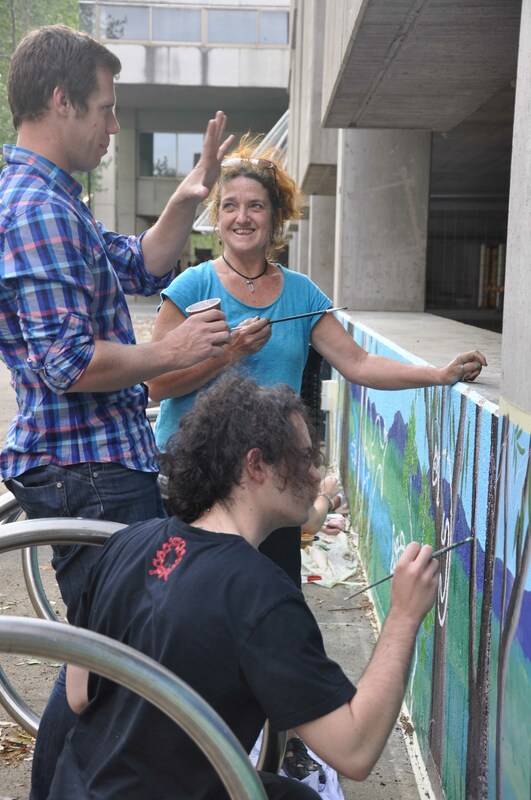 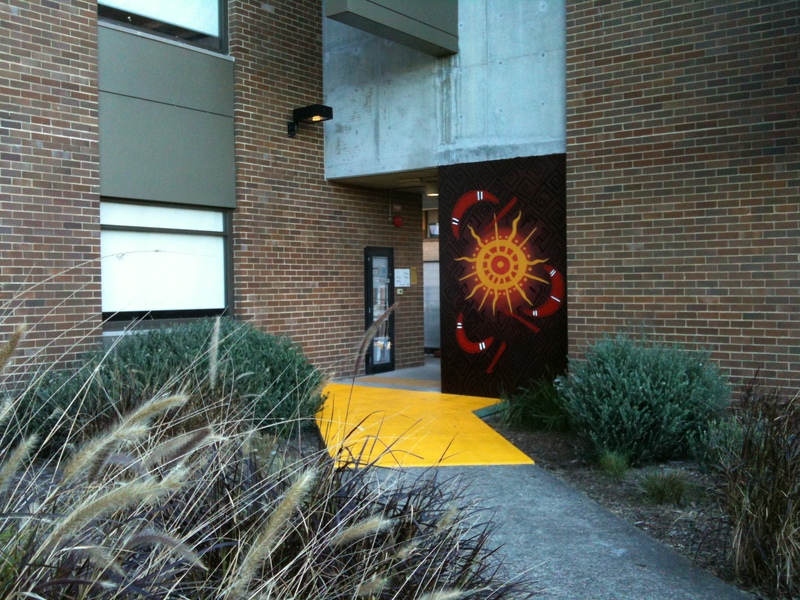 The mural was created in 2013 by Leanne Tobin, her brother Chris Tobin and her son, Shay, along with pre-service teachers from Macquarie University for a Community Indigenous Arts Project. 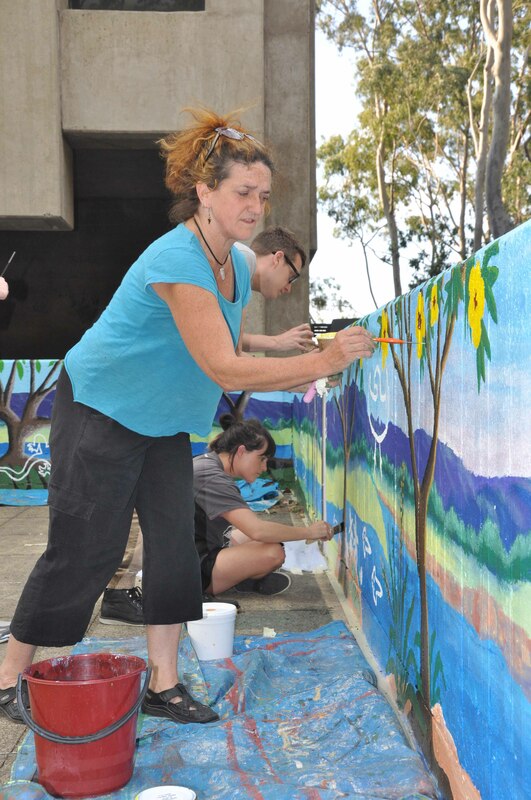 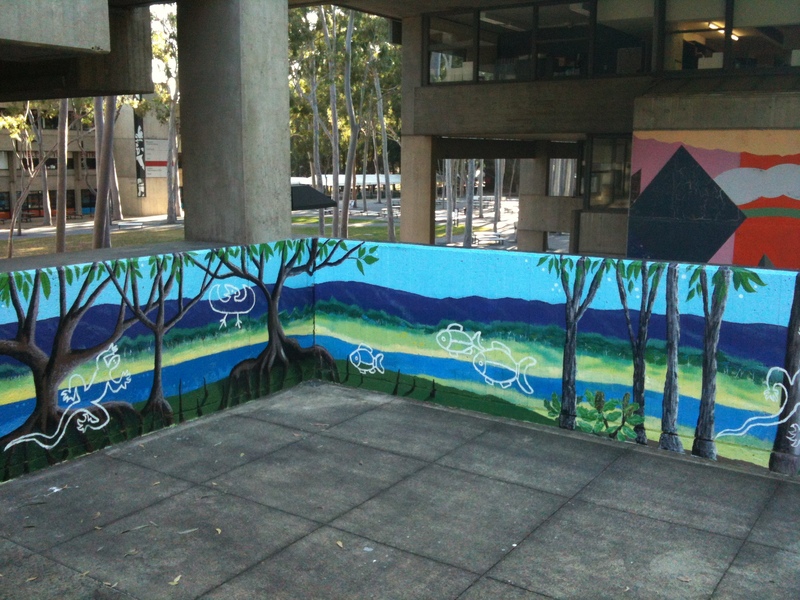 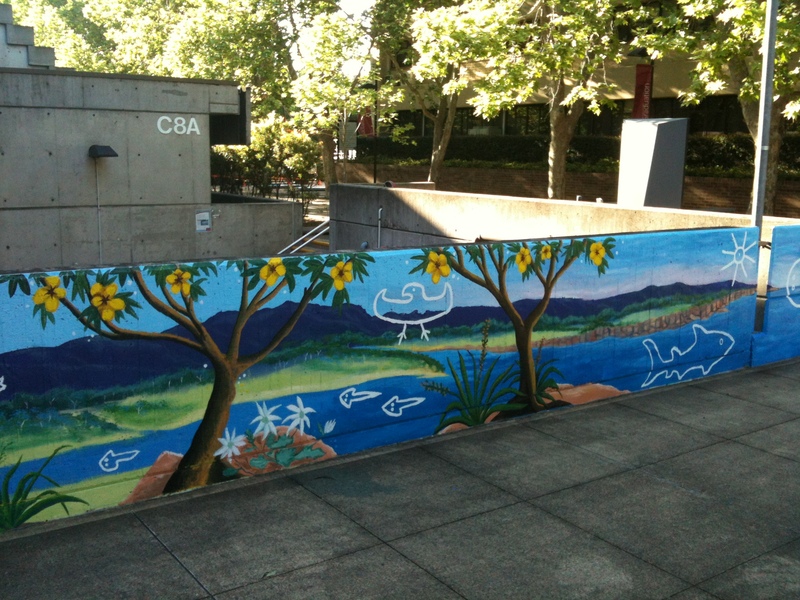 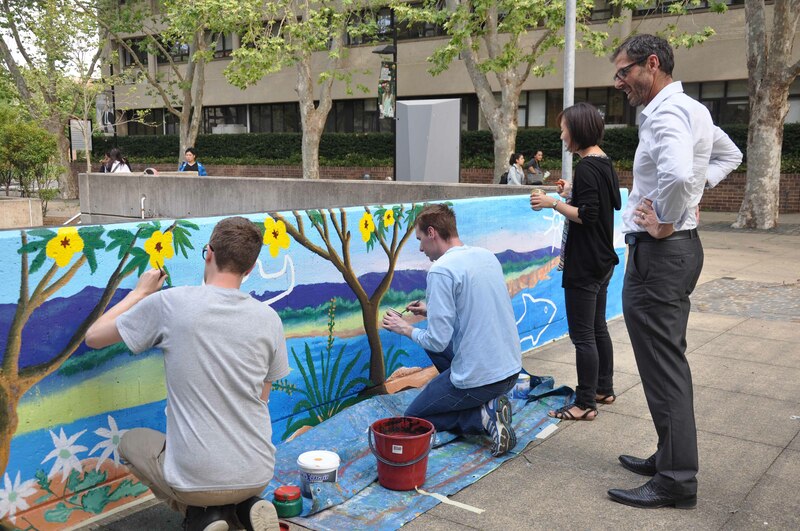 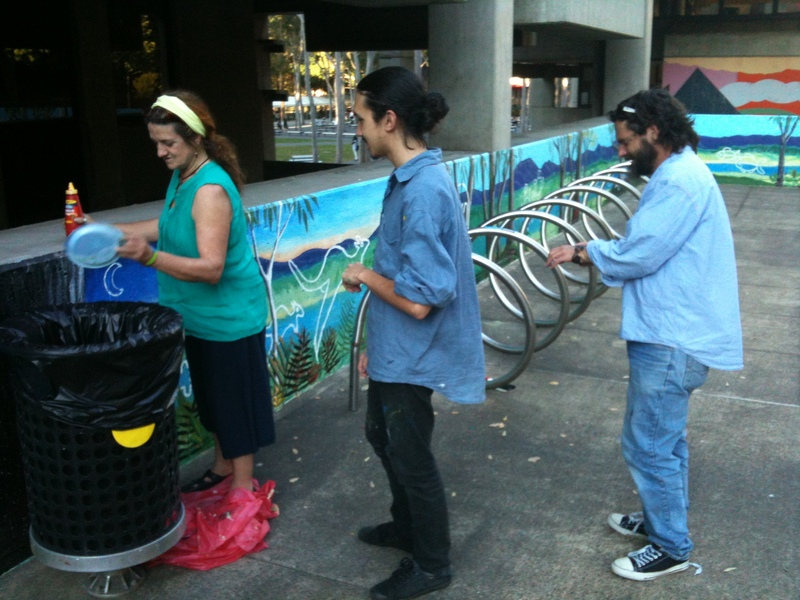 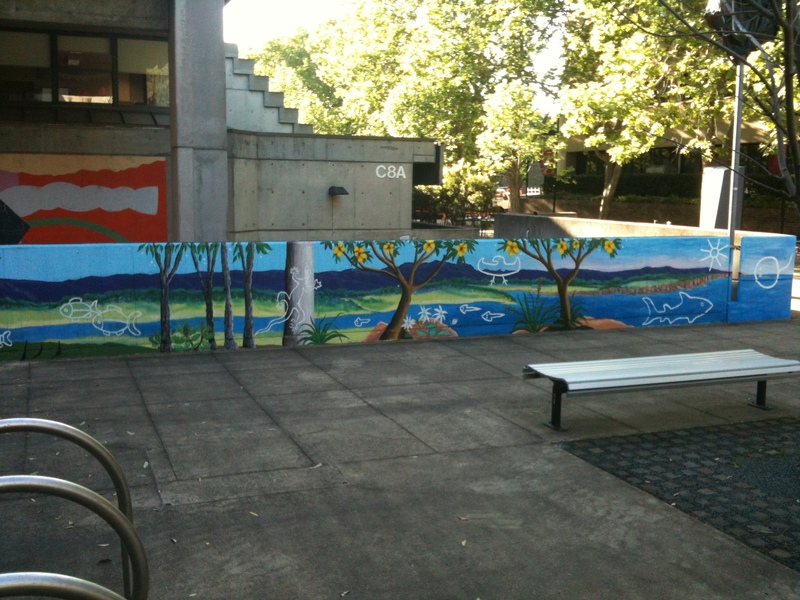 The mural shows the meeting of fresh and saltwater along the Parramatta River, while the flora and fauna represent the totems of various clans living along the length of the river from the heads of Port Jackson in the morning to the upper reaches of the river at night. 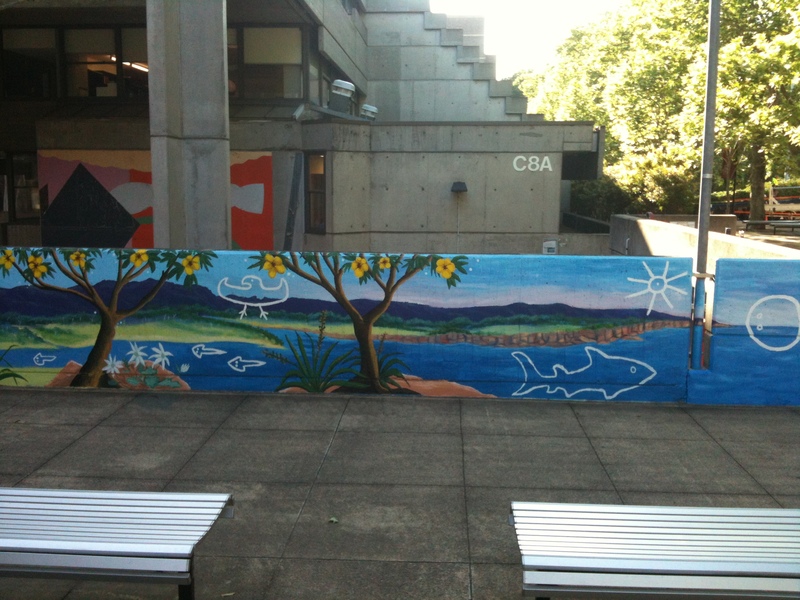 The shark and stingray represented at the entrance to the harbour (below) are of special significance to the creation of the landscape of the region. 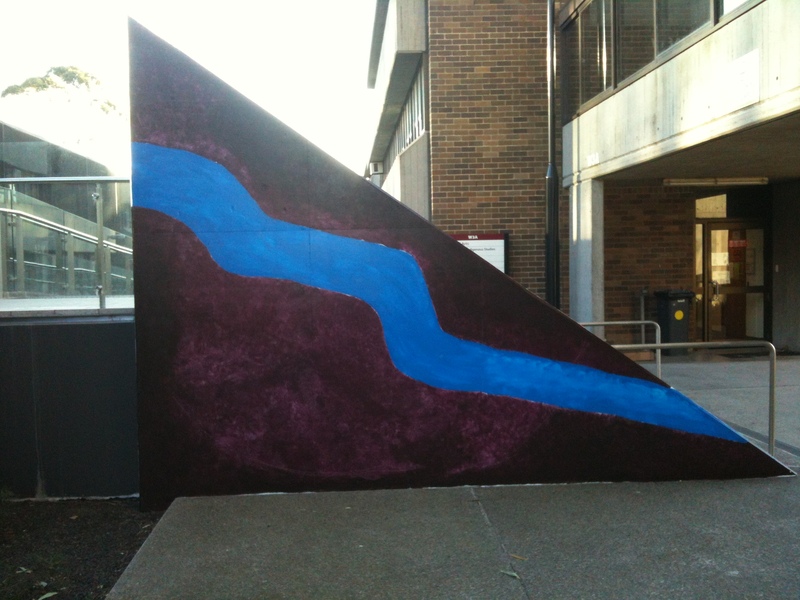 Long ago, the shark and stingray engaged in extended battle and as they did so, they gouged out the bays and inlets of Port Jackson.